Camping Leï Suves er en campingplads i Roquebrune-sur-Argens, Var, beliggende i et skovområde. Denne terrassecampingplads har pladser der er afmærkede, med skygge, uden skygge og pladser med en smule skygge.Det er muligt at leje campingvogne og mobil homes. Campingpladset har en legeplads og et sportsområde. Denne inspektør besøger hvert år Camping Leï Suves og inspicerer campingpladsen ud fra omtrent 200 faciliteter og andre fokusområder. Inspektøren arbejder for ACSI og arbejder altså ikke for campingpladsen. Possibly the best all-round campsite we have visited. Staff are first-rate, speak english, and usual response to a request is \"no problem\" Pitches good sized and level, all with power and water. Unusually power points are easily reset if tripped out. Pool is large with kiddy area and next to a first-rate restaurant with open air and covered tables. Campsite shop takes orders for bread, croissants, etc for the morning and has a small but comprehensive range of goods.We had a medical emergency whilst there and the concern and care of the owners made a stressful time more bearable, for which I shall remain forever grateful. The campsite is very quiet apart from birdsong and beautifully maintained with very modern and spotlessly clean sanitary block - hot showers and even some especially for young children. This campsite will not disappoint. This is one of the best campsites we have used in 40+ years of holidaying in France. Beautifully maintained, quiet,fantastic pool, good restaurant, and staff determined to be helpful and solve any problems. Bread on site, still warm at breakfest time, from the small but well-stocked shop. We had a medical emergency during our stay which somewhat extended our visit, and the concern and practical help we received was heartwarming. I cannot praise them too highly. Left after 1 night. Staff lovely and loos/washing excellent. Pool was fantastic, however going thro the turnstile to get into it and being forcibly showered by jets of water as you did so was awful. A jet soaked one side of my head and hair. Had some chips and pizza to take away, pizza not sliced and chips worse ever had. Packed in like sardines lower end, we had upper which have some views, but busy road within 10 or so metres so noisy. Very much a retirement site where peeps stay put for months. Still have sticker glue on our windscreen after 4 weeks. Not for us really. The staff are always helpful,the site is very well maintained and well kept. Good location with plenty of lovely places to visit. Writing this whilst still on this superb site. The pitches are large and surrounded by tall trees, the staff are very friendly and helpful. There is a lovely, large, outdoor heated pool and a good, well priced restaurant. It's a 20 minute drive to the Med beaches, and you are of course in beautiful Provence! The site is immaculately well kept, the toilets and showers modern and spotless, and after being here a few days, have decided to stay for a fortnight. Vil du booke Camping Leï Suves eller have yderligere information? Det kan du via nedenstående oplysninger eller via campingpladsens hjemmeside. A8 frakørsel Le Muy, retning Fréjus via N7. I rundkørslen ved Roquebrune-sur-Argens skal man dreje til venstre i retning ad La Bouverie. 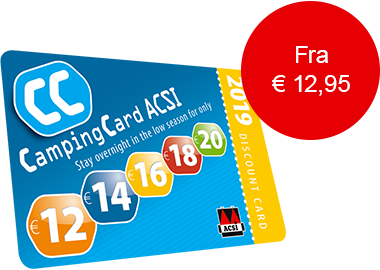 ACSI Eurocampings sender din forespørgsel videre til "Camping Leï Suves".